Have you ever wondered what are the most common Evernote Tagging Tips, yet you never dared to ask? After using Evernote for more than 4 years, I’ve encountered massive problems with tagging model. Currently in my database, I can find approximately 900 tags, and most of them have just a couple of notes in them, sometimes not a single one. This tagging structure comes from long term experience using the Evernote search, and from what I’ve realized using different systems for note taking, I have came to conclusion that it works for other platforms as well. But that is a story for some other time. Right now I want to share with you two most important ways to tag, and currently I am using both. With all the note taking apps, our capturing process leaves us weak when our systems get flooded with information that we can’t process and organize properly. I know this for a fact, because my Evernote database holds over 7000 notes stored over the course of 5 years, and it’s amazing that I still cope with it pretty well. For a long time, I was a heavy user of tags, but eventually tags became obsolete, once you start using them too often. 7000 notes and 1000 tags later, is there a reason to have any additional tags? The big number of those tags are used once or twice and never mentioned again. Pretty much anything that I will tag loosely, once or twice, or I don’t have time to tag, because I am using some external way of inputing notes (like Email, Drafts application or some other third party service), I will make sure to tag the content appropriately so I can easily access it later. Obviously you can change the letter x to any letter of your liking, but from my experience, this feels more natural, as there are not a lot of words that end with X. You are welcome to try letters to your liking. Mike Vardy is adding V at the end. Capitalizing the tagging letter could also be beneficial if you are tagging just a particular part of the note. This operator will only search the content of the subject lines of the notes, and thanks to it, I am able to confidently search the keyword of the title. All I have to do is type the tagX and all of the ones that contain the tag in the subject will show up. first one requires me to type “1in” that expands the “intitle:” operater. However the second one is a little bit more interesting, as it helps me search titles of the notes that contain multiple keywords. The abbreviation that I use is “11in”, and it expands towards the ” intitle:”” “, saving me from the hassle of looking for quotations and typing them manually. You’ve just learned the lazy way to tag your notes, and reasons why I’ve moved on to this kind of taxonomy. This helped me tremendously simplify my tagging efforts, as I started trimming down the “native” (stock) tags, for the tags that are truly important for me, and loosely using the X at the end of the word, every time I am not sure that I have something like that tagged. 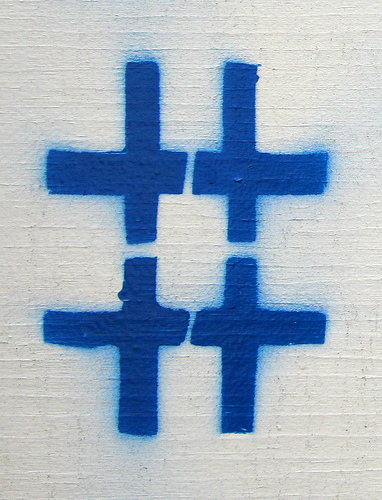 Tweet me on @bojandordevic or @alphaefficiency on Twitter, to let me know, how you’ve tried to simplify your tagging. Brilliant, I use Evernote and will definitely use this practice. Thanks! Glad this article was helpful to you! Great article, Bojan. I used this method two years ago (well, the “@” instead of “#”..”@” because this key easily falls under my hand when typing) to lower the number of EN’s tags. Unfortunately, as you said, “It won’t make it pretty for someone outside to read”. And that was my big problem when sharing notes with colleagues. Then, helped by the slowness of EN 5 on Windows, I migrated my personal data out of EN to DTP (and its fabulous search engine) and drastically lower my number of tags from 500 to less than 20. Now using nvAlt form simple text notes, I slowly get rid of tags…. I use hashtags as note tags in Google Keep, mainly because Keep doesn’t support tags. It seems to work. I guess this is over my head, I’m not what you would call a power user of Evernote (or any note taking system for that matter). What does this add to normal tagging functionality? Why is it necessary at all to append the tags with anything? @Mark I am assuming you found this article through Lifehacker, which is the same way I stumble on to this page. Honestly it went over my head as well until I read through the Lifehacker comments. Lifehacker did a horrible and confusing job with explaining this. If I got this correct: While typing up your note, within the content of the note you are appending a ‘#’ or “X” to a word. Essentially that becomes the tag of the note. This is independent of using the tagging functionality built-in to evernote.